A very inconsistent movie. Some parts were quite funny, while other fell kind of flat. Some aspects were probably better in concept than in reality. Rather than making fun of Star Wars or Star Trek it embraces the zeal with which such fans support the movies they love. Enjoyable not not great. 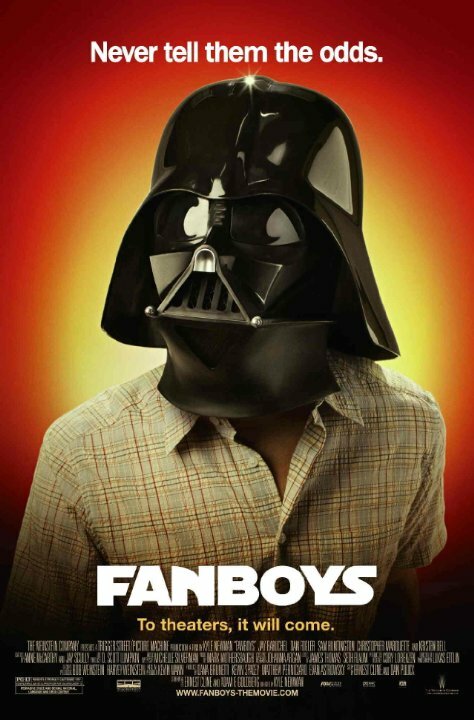 Fanboys is good for a quick laugh and pokes fun at Star Wars and Star Trek. The plot is alright, but very predictable. After watching the movie the first time, the movie becomes boring. Good for an afternoon time waster. I think that if they market this right that there could be some success to come from it.&amp;nbsp; I still don't have a lot of confidence in it.